“Prayer is where the action is." "I do not believe one can settle how much we ought to give. I am afraid the only safe rule is to give more than we can spare. In other words, if our expenditure on comforts, luxuries, amusements, etc., is up to the standard among those with the same income as our own, we are probably giving away too little. If our charities do not at all pinch or hamper us, I should say they are too small. There ought to be things we should like to do and cannot do because our charitable expenditure excludes them." The annual coming of the season of Lent is one of the most significant in the Church's year of prayer. Springing from the final period of preparation of those approaching the font of Baptism in the first centuries of Christianity, it remains a season of new birth. Catechumens still are initiated into the church at the culmination of this season. And Lent affords all baptized believers the yearly opportunity to undertake a 40-day retreat, a sustained reflection on the eternal and transformative worth of our own Baptism into Christ. This page is offered both to provide resources to all to deepen our experience and appreciation of Lent and to share news about the way the season will shape our lives at Saint Anselm's this year. Feel free to comment and to share online and on social media as you desire, using hashtag #OurStoryOurCalling2019. The brick cross in front of Saint Anselm's covered in snow on a February evening during Lent 2017. For our ways of prayer, consult Saint Anselm’s Parish Calendar and note the dates for our continuing practice of daily prayer in common, our gatherings throughout the season to pray the Stations of the Cross together, and the date and times for our celebration of the days of Holy Week. We will be participating as well in the Ecumenical Lenten Prayer Services in our local churches on the Wednesdays of Lent. The discipline of fasting the body for the sake of deeper awakening in spirit is ancient. In our day many fast regularly for the good that it does their bodies as well. Dare we take up voluntarily the discipline of fasting during Lent’s days? This Lent members of Saint Anselm’s and friends are invited to commit to fast for one day, from sundown on Wednesday, March 20 until sundown on Thursday, March 21. For alms, our shared work of charity, the congregation has chosen, as for recent Lents, from several possible organizations with whom we might partner by our financial support of their mission. In addition, we will share opportunities for members of the congregation to volunteer time and talent in support as well. For Lent 2019, with the recognition that there are grave human needs calling for assistance both locally and around the world, we have chosen two organizations to join in mission, one nearby on Long Island, and the other casting a wider net in another part of the world. In Christ, our neighbors live both next door and across oceans and deserts. The mission of the Long Island Coalition for the Homeless, Inc. is to eliminate homelessness on Long Island and improve the lives of Long Islanders who are homeless or facing homelessness. If you see someone, save someone. Call 631.464.4314, ext. 118. Hope Children's Fund supports a home in Kenya which is currently housing 88 children from birth to adulthood. All money raised is used to suport the home and children. Their motto is: "Education is the key." Two years ago Kyle Spillane, son of Saint Anselm's parishioners John & Laura Spillane, and a friend raised money and traveled to Kenya to purchase 25 new beds, mattresses, and bedding. The oldest children who have been raised in the home are now graduating attending or graduating from college. Our lenten reading for 2019 is The Enduring Melody, by Michael Mayne. It is available from Amazon and Barnes and Noble. Besides the print edition the book is available on Kindle [e-book] and as an audiobook. Discoverbooks.com has the title at apparently the best price. The following link will lead to an appreciation of the worth of the book, this review published over a decade after Enduring Melody's publication and the author’s death. This is a compelling, and at times demanding read. Online discussions will take place on the parish Facebook page. There will also be Sunday meetings in person. All are welcome to join Saint Anselm's Reads, established as a group on the parish Facebook page. We will read and discuss The Enduring Melody within the Facebook group with friends near and far. Those local participants will choose together a date and time to talk through the book in one another's company at Saint Anselm's. A centuries-old tradition in the church urges that the sacrament of Baptism not be celebrated during the season of Lent. The reason is that one of the primary roots of Lent is as a final 40 days of intensive preparation for those who had been preparing for Baptism for a great length of time (up to three years). In turn, the season of Easter, gloriously beginning at the Easter Vigil through the night on Holy Saturday, is the most proper season historically for Baptism. Therefore we will not celebrate the sacrament during the season of Lent. To symbolize our shared thirst for the waters of Baptism and the new life of Easter, throughout Lent the baptismal font will contain not water, as during the remainder of the year, but the sand of the desert. As people all over the world complete their preparation to become members of Christ in Baptism during this season, we already baptized are invited to walk the same way. In myriad ways our lives, even without our choosing, can move away from the lived experience of Christ’s love and grace. Yet we are destined and marked in love as Christ’s own since the day of our baptism. This Lent provides us an opportunity to mindfully return to the way of Christ, to the way of life and love Christ shows us. All of us will be invited to participate in small groups this Lent. Once a week we will meet to consider the Gospel reading of the following lenten Sunday and in conversation to recognize our own call revealed in the story we hear together. And some of us may hear ourselves called in a deeper way to live this season as a disciple returning to the way of Christ. These persons, supported by a sponsor, will stand among us as encouragers to our entire community to allow ourselves to be brought back to Christ this Lent. The opportunity to join a small group for the season will open on Sunday, March 3rd and continue on the first Sunday of Lent, March 10th. At the same time, persons feeling called to the deeper journey in the company of a sponsor are invited to contact Father John. This season affords us the perfect opportunity to get ready for confirmation or reception into the Episcopal Church here at our church on Saturday, June 8, 2019. Confirmation affirms and confirms the presence and power and work of the Holy Spirit in us from the day of our Baptism. And reception into the Episcopal Church is for those among us who have come from other churches and have decided to make their home in the Episcopal Church. If you desire to be confirmed or received into the Episcopal Church on June 8, please indicate your intention either on the sheets at church on Sundays, March 3 and 10, or email the Parish Office by March 10. Preparation for confirmation and reception will take place within a small group meeting throughout the season of Lent. The dates for those meetings are: March 10, 17, 24, 31 & April 7. The Confirmation/Reception small group will meet at the Rectory on those evenings beginning at 5pm and ending by 6:30. You are very welcome! Each Wednesday of the season at noon, there will be a Lenten service at a local church, followed by a BYO brown bad lunch. The host church provides coffee and cake. It's like March Madness only holier. Lent Madness began in 2010 as the brainchild of the Rev. Tim Schenck. In seeking a fun, engaging way for people to learn about the men and women comprising the Church’s Calendar of Saints, Tim came up with this unique Lenten devotion. 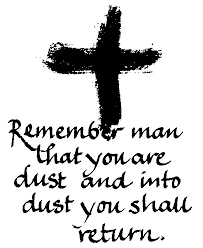 What's Lent All about Anyway? Explore the origins, history, disciplines and possibilities of Lent.